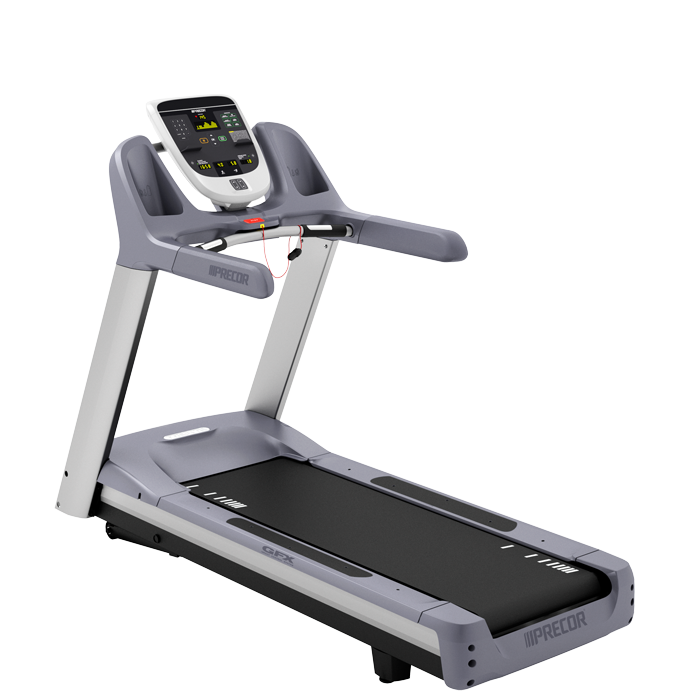 The Precor TRM 811 Treadmill is driven by a 4 HP AC induction motor that has a maximum speed of 12 mph. For a more intense workout this commercial treadmill can inclined maximum upto 12% and burn your undesired fats. This treadmill features many other useful qualities like integrated transport wheels, water bottle holder, comfortable running deck etc. Its 15" LED console allows users to monitor their workout progress and stay motivated. Maximum Pause Time 120 sec. The latest cost of Precor TRM 811 Treadmill will be updated soon. *Note: Most of the sites, stores or shopping portals listed above sell Precor TRM 811 Treadmill with discounts and other exciting offers. There is a possibility that the some of above websites are not selling Precor TRM 811 Treadmill now. Toughtrain.com is not liable for such cases or instances. Also we do not recommend any seller for Precor TRM 811 Treadmill and a buyer should buy from where he/she gets best deal with quality of products, service and on time delivery (shipment).